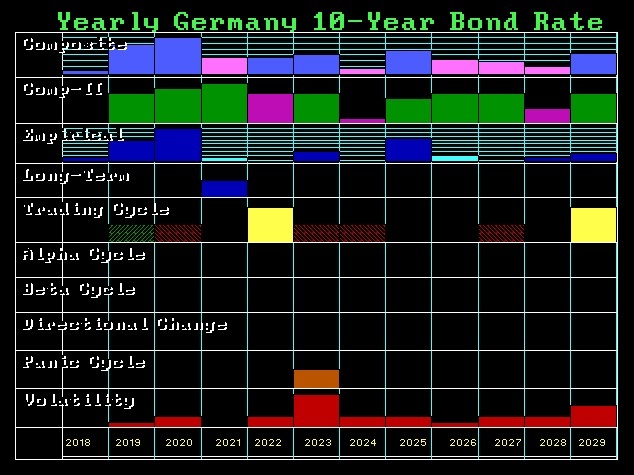 QUESTION: Mr. Armstrong; It appears that now the Bundesbank has adopted your view of rising interest rates. How fast do you see rates rising? 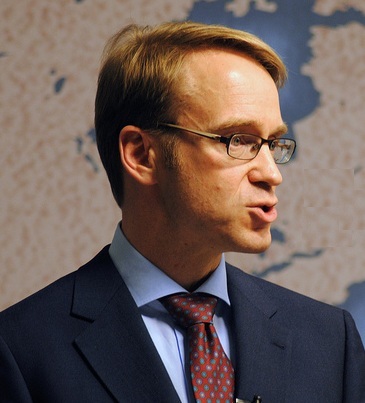 ANSWER: Yes, the Bundesbank President Jens Weidmann has come out and warned that banks should start to make provisions for interest rate risks associated with rising interest rates. The normalization of the interest rates is essential and as always, it is now too little too late. The economic environment is changing much more rapidly than most suspect. It is true that the German banks have increased their equity significantly since the financial crisis. While the central banks are warning that rates are rising, they misjudge the fact that banks are by no means as resilient as they were before the 2007-2009 crisis. 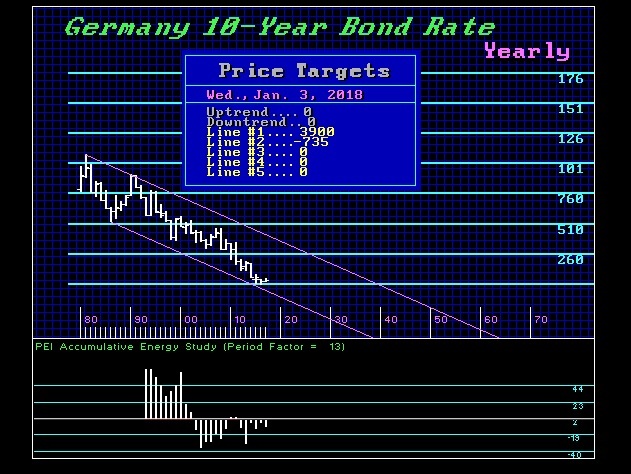 German 10-year rates will start to rise rapidly following a monthly closing above 0.79%. The next stop will be 2% and thereafter, we will see a test of the 4% level. Once we exceed the 2007 high of 4.67%, we will see a rapid rise to the 5.6% area and an annual closing above that will warn of a test of the 8.5%-11% zone and that can be easily by 2020.